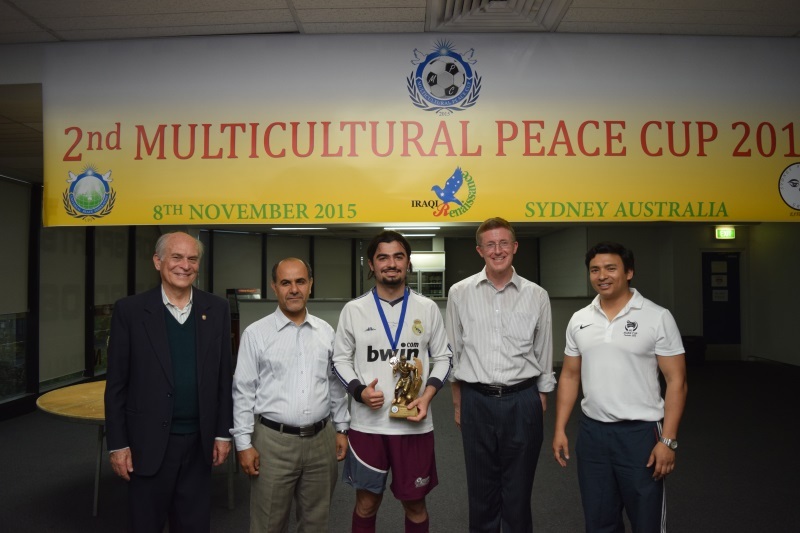 By UPF Australia: The second Multicultural Peace Cup (MPC) was held on November 8, 2015 at the Ultimate Indoor Sports Center in Sydney Australia. 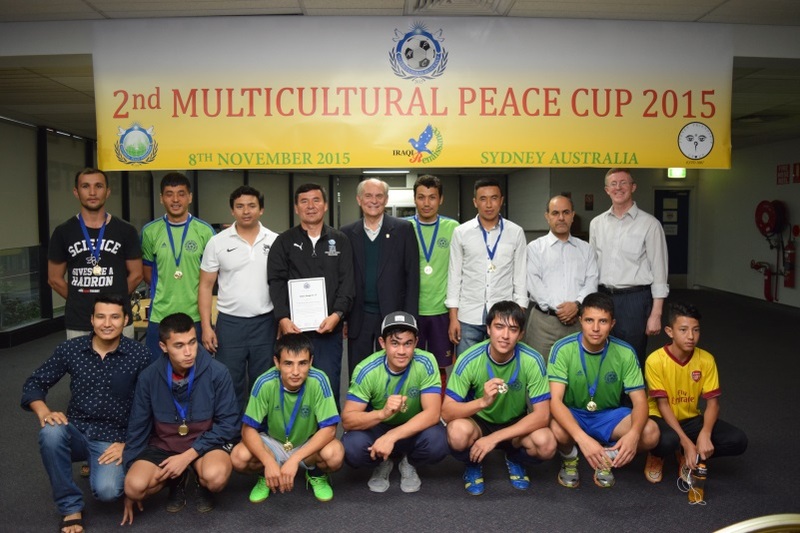 The purpose of the event was to encourage harmony and understanding between different ethnic and religious groups in the community and to promote good character, sportsmanship and leadership amongst youth through the vehicle of sports competition. 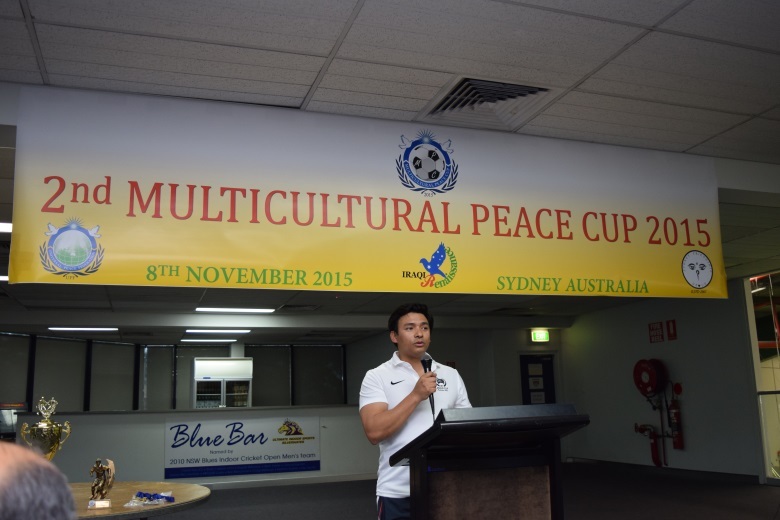 The first MPC was held one year earlier and involved four teams. 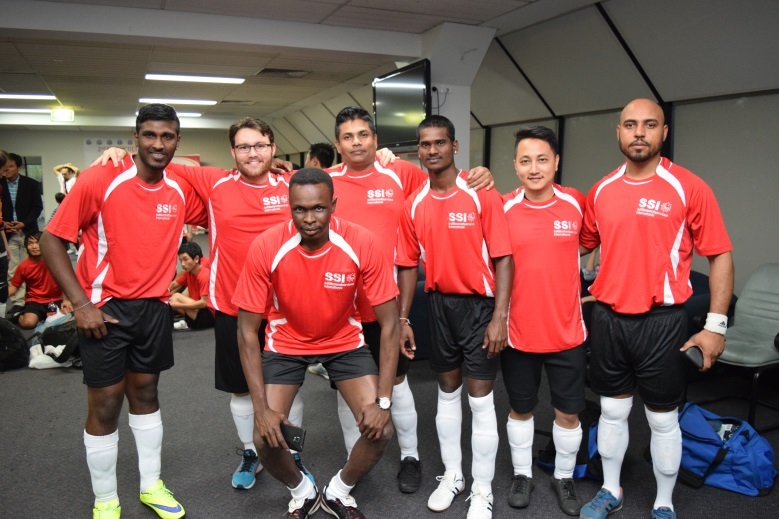 This second MPC was definitely bigger and better, drawing eight teams from diverse backgrounds into what proved to be a highly competitive yet very friendly and enjoyable afternoon of sports and fun for all. 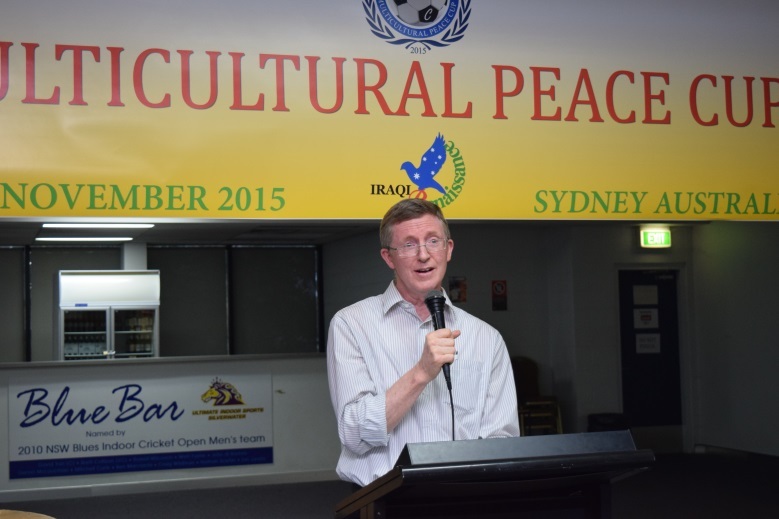 The event was sponsored by UPF however three organizations, Iraqi Renaissance, Sydney Friendship Group as well as UPF, came together to organize it. 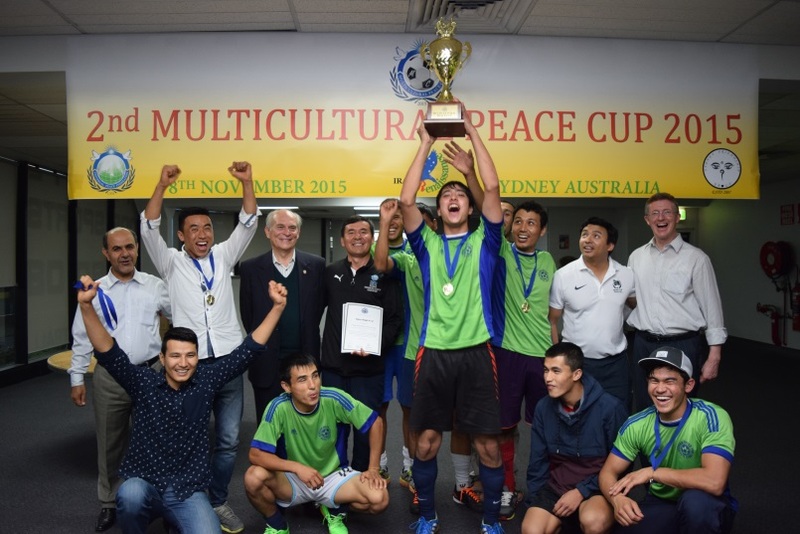 It was a knockout completion with the winning team retaining the impressive Multicultural Peace Cup. 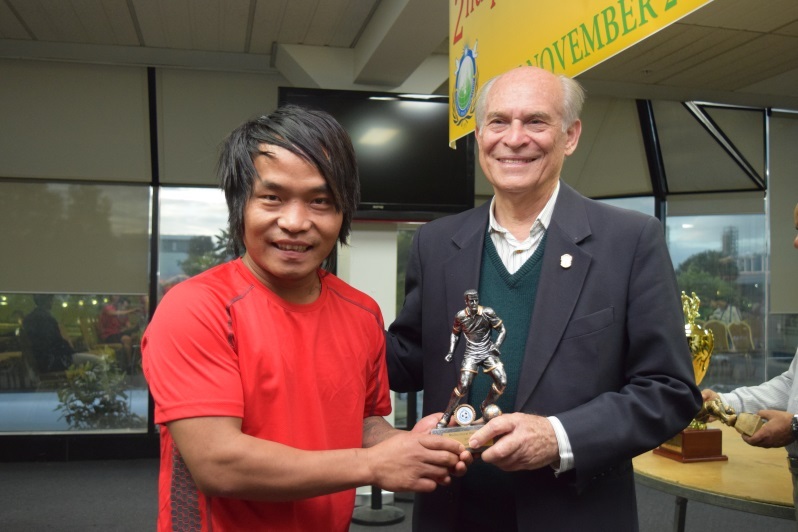 Trophies for “best player” and best “sportsman” were also awarded. Councilor George Campbell from the Auburn City Council came along to give congratulatory remarks and to help present the awards. 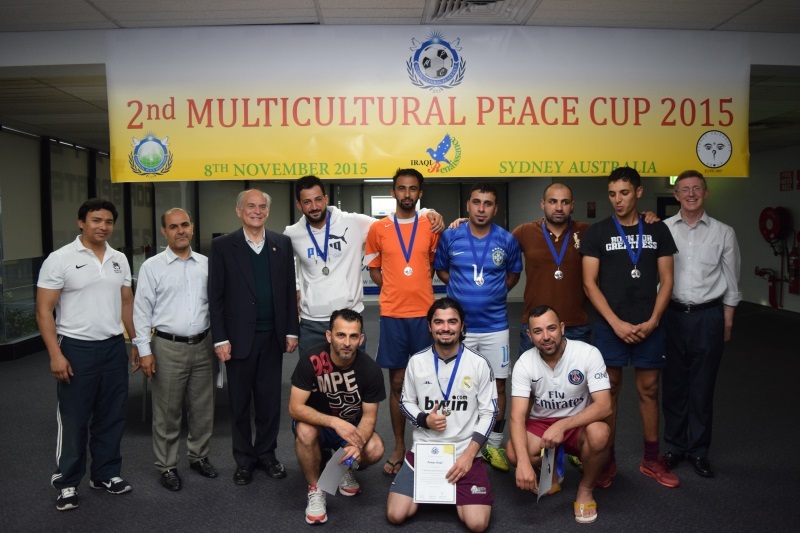 Based on the success of this year’s tournament, we all determined to confirm it as an annual event and to expand it and make it even more successful next year.